Weekend stay for 2 in Wilde Ballybunion, with dinner each night and breakfast each morning. 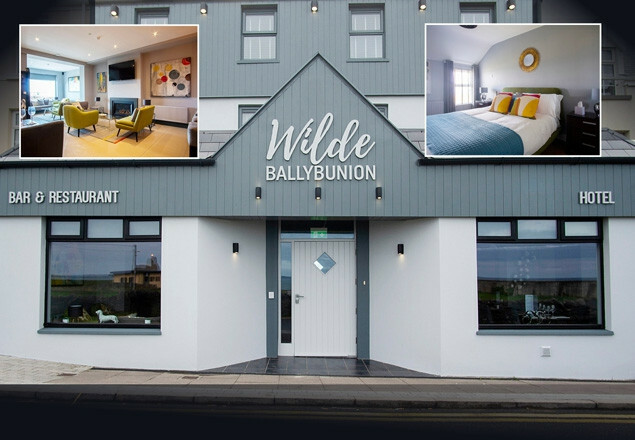 Rewarding Times have teamed up with Wilde Ballybunion - the finest small hotel on the Wild Atlantic Way, to offer you a fabulous weekend away. Enjoy a Friday & Saturday night stay with a 2 course dinner each night & bed and breakfast each morning in a superior sea facing room, that overlooks Ballybunion bay and castle. The perfect place to dream in your super comfy king size bed dressed in crisp white linens. Set in the heart of Ballybunion, Wilde offers a comfortable and contemporary dining experience. Meticulous attention to detail and a seasonal approach to locally sourced ingredients mean we can bring delicious food to your table. You will dine well at the Wilde. After many years cooking around the world, our head chef Jerry has made Ballybunion his home. From 5 star hotels to the QE2, he has gathered a wealth of culinary knowledge, which can be seen in the simplest of his dishes. He is at home cooking Irish, Mediterranean, and French, as well as Asian cuisine. Situated on the scenic north-west coast of County Kerry, the seaside resort of Ballybunion is a holiday haven with something for everyone. 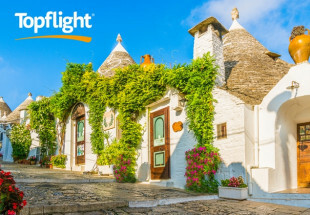 This picturesque village attracts many families to its long stretches of sandy beaches, where young and old alike can enjoy swimming, surfing, sunbathing and fishing in the Atlantic waters. The nearby towering cliffs offer excellent scenic views. The waters around Ballybunion have won the European Blue Flag award for 2014. This award is an acknowledgement by the European Union to regions that achieve a standard of water quality that is free of pollution. 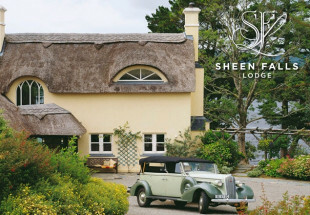 Beach-side traditions include the Seaweed Baths, featuring sea water with kelp. In the summertime, cooked periwinkles are salted and served in small paper bags along with a pin to extract the small sea snails. 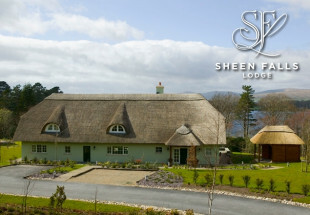 The town boasts two of the finest golf links courses in Ireland, and there are plenty of pubs, restaurants, cafés and leisure activities and facilities to suit all tastes and budgets.